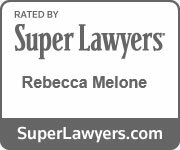 Powers of Attorney | Melone Law, P.C. A power of attorney is a document that allows one individual to act on behalf of another. The individual who grants the power of attorney is the principal, and the person given the authority to act on behalf of the principal is the attorney-in-fact or agent. The principal must be aware of the content and nature within the document when he or she signs the power of attorney in order for the document to be valid. Durable power of attorney: This document remains in effect if the principal later becomes mentally incapacitated. State law requires written acknowledgment in the document that it is intended to remain in effect after an incapacitation occurs. Without that specification, the power of attorney would terminate. Springing power of attorney: This document will not become effective until a specified future time, such as when the principal is unable to make his or her own decisions. Other types of powers of attorney will become effective immediately after they are signed. General power of attorney: This document allows the agent to act on behalf of the principal in almost any capacity. For medical-related decisions, a separate advance medical directive or healthcare power of attorney may be used. The general power of attorney also does not allow the agent to create a will for the principal. Limited power of attorney: This document specifies the actions and decisions that may be made on behalf of the principal. With Melone Law, we can assist with drafting your power of attorney and explain the different options you have for your decision-making. Let our experienced attorneys guide you through the process and enable you to have the right agreements in place as you age.